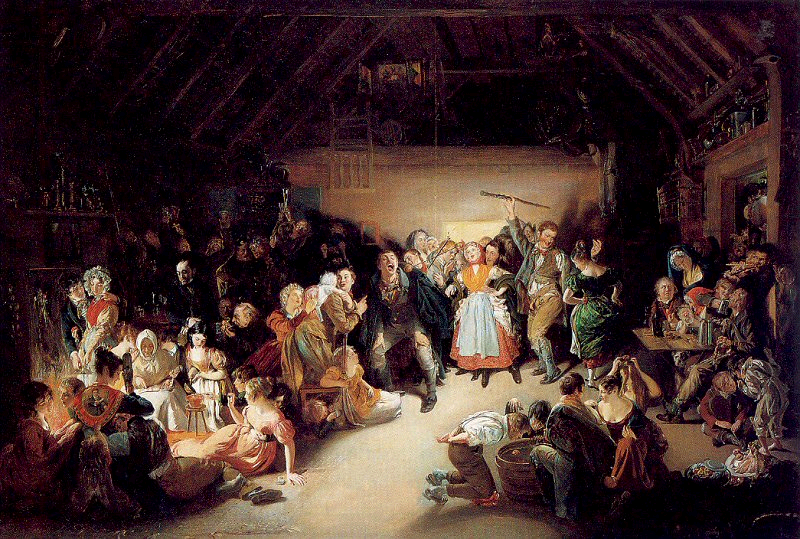 Learn some fascinating facts about the history and origin of Halloween! Halloween’s origins date back to (標記…結束) the ancient Celtic festival of Samhain (古代凱爾特民族的「薩溫節」的傳統節日). This day marked the end of the harvest (標記收穫季節的結束) and the beginning of the dark, cold winter, a time of year often associated with human death. Celts believed that on the night before the new year, the boundary between the worlds (世界之間的界限) of the living and the dead became blurred (變模糊). On the night of October 31 they celebrated Samhain, when it was believed that the ghosts of the dead returned to earth (死人回到人間). To commemorate the event (紀念活動), Druids (凱爾特民族的神職人員) built huge sacred bonfires and host a huge celebration in which the Celts wore costumes, typically consisting of animal heads and skins, and attempted to tell each other’s fortunes (幫彼此算命). In 1000 A.D., the church would make November 2 All Souls’ Day, a day to honor the dead (紀念死者). The church was attempting to replace the Celtic festival of the dead with a related, but church-sanctioned holiday (教會批准的假日): All Souls Day, which people also celebrated with big bonfires and parades (遊行). In colonial America (殖民地時期的美國), the immigration of different European ethnic groups and the American Indians meshed (互相協調), so a distinctly American version of Halloween began to emerge. In the second half of the nineteenth century, America ‘s new immigrants helped to popularize the celebration of Halloween (普及萬聖節的慶祝). Taking from Irish and English traditions, Americans began to dress up in costumes and go house to house asking for food or money, a practice that eventually became today’s “trick-or-treat” tradition. By the 1920s and 1930s, Halloween had become a secular (世俗的), but community-centered (以社區為中心) holiday, with parades and town-wide parties. Despite the best efforts of many schools and communities, vandalism (故意破壞公物的行為) began to plague Halloween celebrations in many communities. By the 1950s, town leaders had successfully limited vandalism and Halloween had evolved into a holiday directed mainly at the young. The centuries-old practice of trick-or-treating (不給糖就搗亂) was also revived. Trick-or-treating was a relatively inexpensive way for an entire community to share the Halloween celebration. In theory (理論上), families could also prevent tricks being played on them by providing the neighborhood children with small treats. Today, Americans spend an estimated $6 billion annually on Halloween, making it the country’s second-largest commercial holiday (商業節日).